Police are investigating claims that a number of people across the north are being targeted by international crime gangs in the same way as County Tyrone schoolboy Ronan Hughes. The 17-year-old from Coalisland took his own life earlier this month. The teenager was the victim of what the police call webcam blackmail. Ronan was tricked into sharing intimate images of himself online, and some of them were then sent to his friends when he failed to pay a ransom. Just hours later, he took his own life. His family has said he was being blackmailed by a gang based in Nigeria. 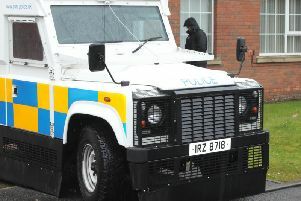 The PSNI will not discuss the details of the case, but has confirmed that it is investigating other similar allegations. “We’ve received a number of reports from persons who feel that they have been blackmailed as a result of footage that they have willingly participated in and which could be embarrassing if released,” Det Supt Jonathan Roberts, a member of a specialist team tasked with investigating cyber crime, said. Police say there could be many more victims who are too embarrassed to seek help and have urged them to come forward. They say they can protect them and that all complaints will be treated with discretion. “Given the potential embarrassment for anybody who is the victim of such a blackmail, it is our belief that such crimes are probably under-reported, and in some cases some people may prefer to pay money rather than contact the police and seek assistance,” said Det Supt Roberts. “I would urge anyone who feels that they could become the victim of blackmail or may already be the victim of blackmail to have confidence to come forward and contact the police.